If you would like to use a SIP account rather than a fax modem (FoIP), please refer to: Fax over IP with Joyfax Server and Configure Joyfax Server with 3CX Phone System PBX. 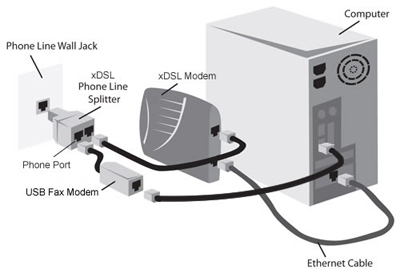 To prepare the Joyfax Server to send and receive faxes, you must connect the modem to the computer. Connect your computer's modem to your phone line using a standard phone cable. 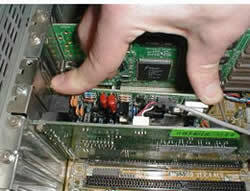 Plug in the modem's power supply if you are installing an extended modem. Unzip the package file, and follow the introduction. Note: If you are using a Windows 2000/2003/Vista Server computer or you install the Joyfax Client only, just ignore this step. 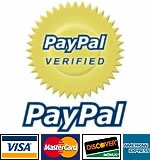 Now, Joyfax Server has been installed on the server, it will allow all Joyfax Clients to send & receive fax. Run the installation package at server, select the Client component to install. If you wish to access Joyfax Server behind a router/firewall, please seeHow to access Joyfax Server behind a router/firewall? In the User login dialog box, enter the Joyfax Server IP address, port, user name and password then press Log in.